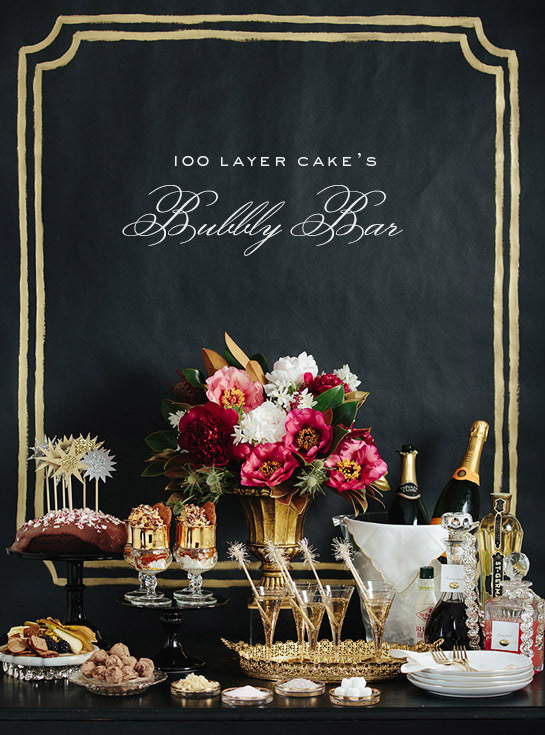 In our eyes you can’t have a New Year’s Eve celebration without a little bubbly which inspired us for today’s post about bubbly bars! 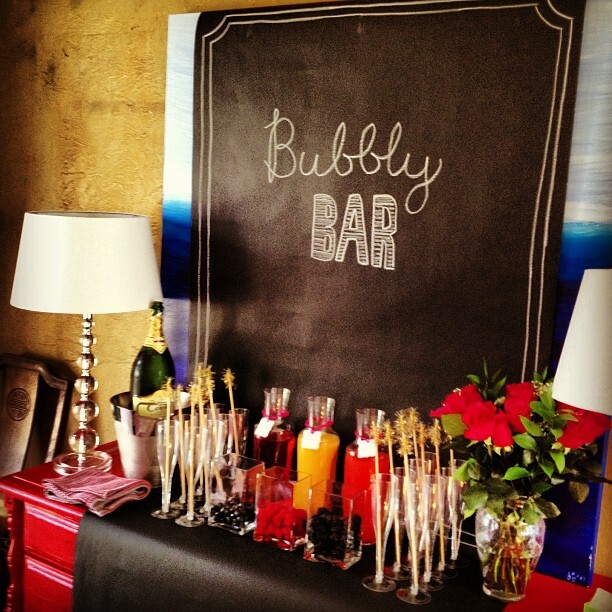 Champagne bars have been getting more and more popular and are absolutely perfect for a New Year’s bash. 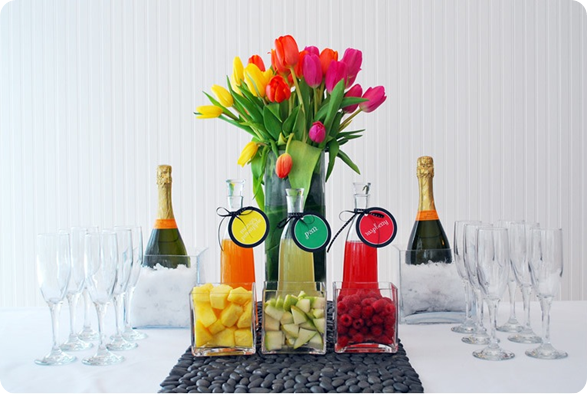 Champagne bars can have all sorts of lovely themes and looks but some of our favorite are the mix in ones with different fruit and juices. 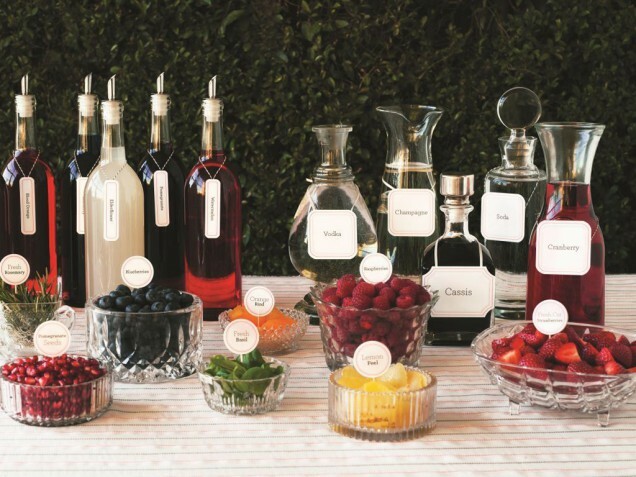 It turns out so colorful and everyone loves adding their own combinations to make their favorite cocktail for the night! 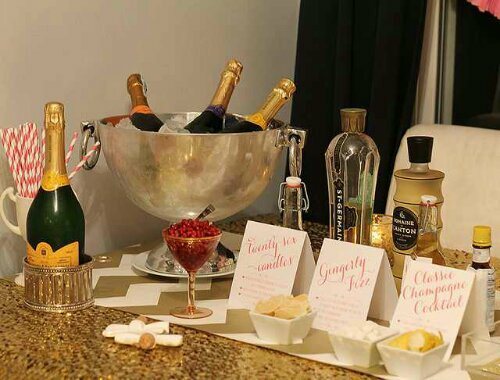 There is nothing better than a self serve bar with all sorts of lovely things for guests to mix in their drinks as it takes the stress out of having to pour everyone a drink and people can get exactly what they want. 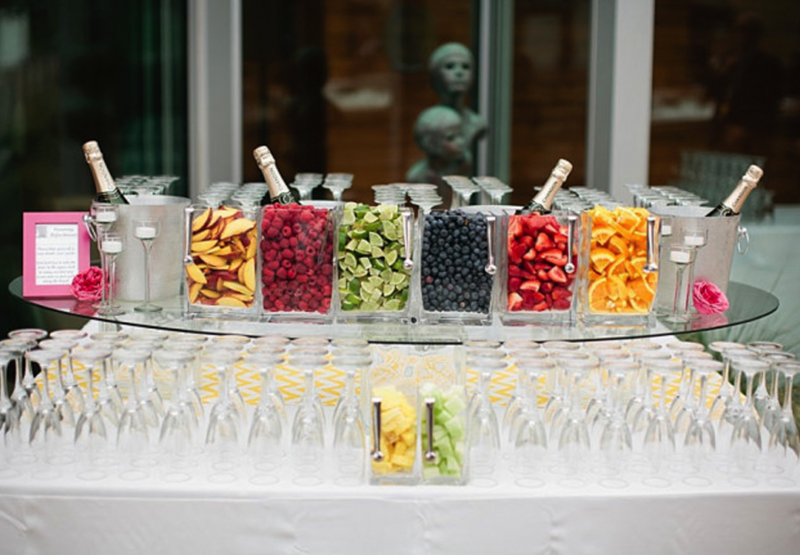 This is why they are also perfect for a wedding or rehearsal dinner. 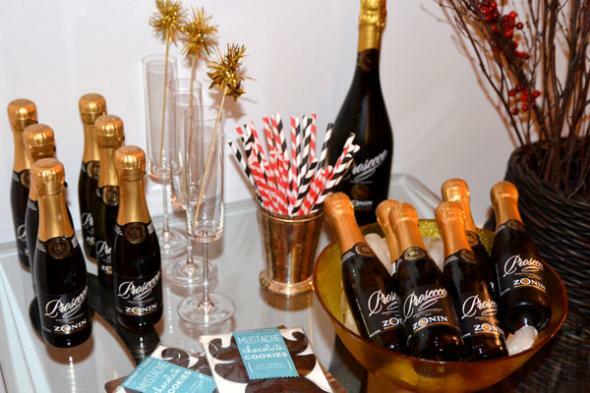 As you know from our last post, gold and glitter are really trending for 2013 and look fabulous on a champagne bar too. 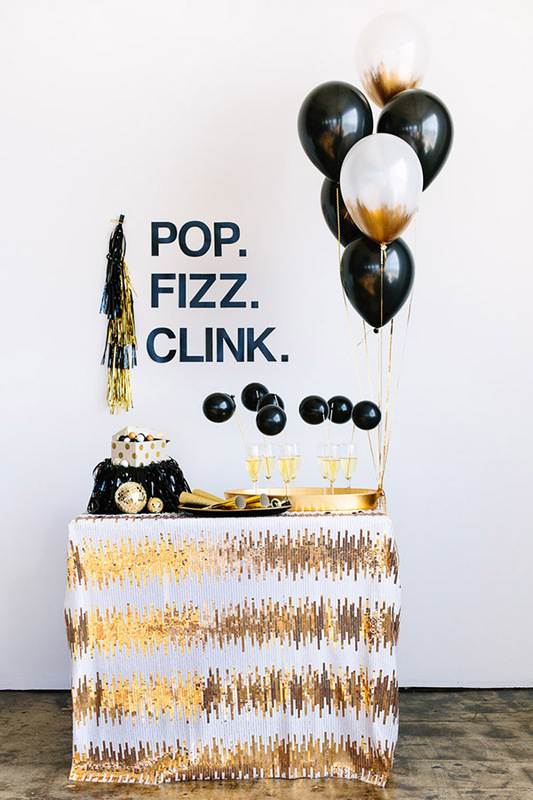 We even spotted some amazing sequin linen that we just had to include in this lovely round up and if you didn’t know sequins were huge in 2013 too! 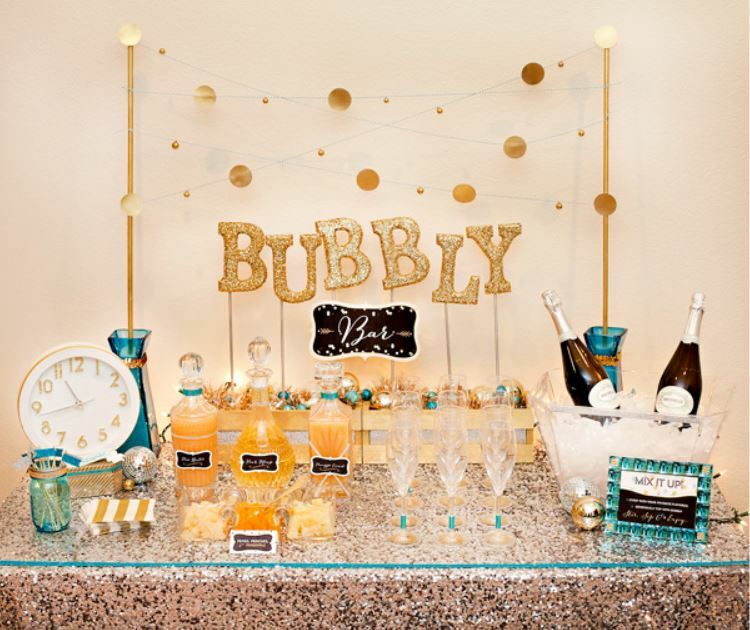 Let’s get ready to celebrate with this lovely eye candy. Make Your Own Trail Mix Bars! 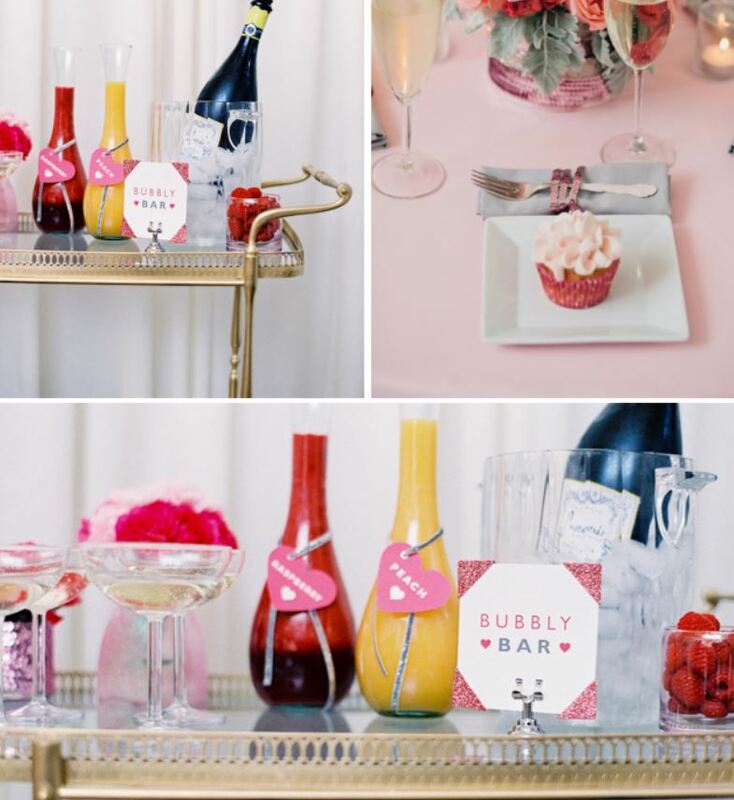 Kentucky Derby Dessert Bars! Lovely Fiesta Taco Bars! Gourmet Pizza Bars! Lovely blog. 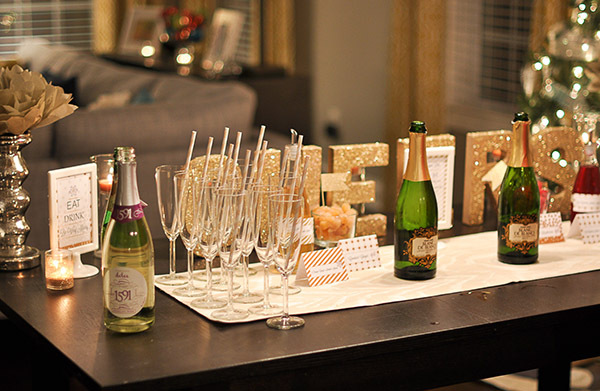 Btw: the word is SEQUIN and the plural is SEQUINS. You can’t be in design and decor and get this wrong!